The timber used for this picture frame is then left to dry for up to 2 years on our farm north of Cape Town. Thereafter we remove all old nails and screws from the strips of timber. Once cleaned, the wood is sent back to Cape Town where colours and types of wood are chosen to put together these picture frames A6 square. This square Luna Designs distressed wooden frame is fitted with 3mm glass, making the frame a little heavier, but giving it a lot more stability during transport, thereby reducing the risk of breakage. 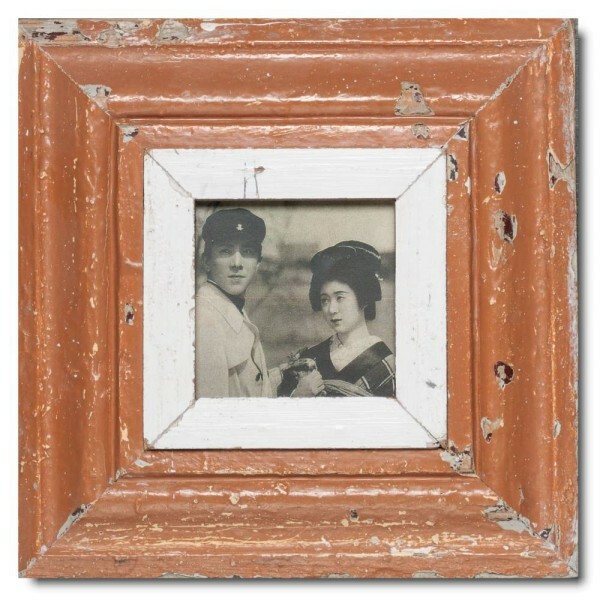 All Luna Designs reclaimed wooden photo frames are delivered with one of a large range of black and white pictures. The term square means that the long edge of the "A" format has been reduced to that of the short edge. * Due to the frames being hand crafted, it can occur that the indicated measurements vary by a few millimetres from picture frame to picture frame.